This was the welcome message of Leomar Agravio, a volunteer from Asian Social Institute to the two hundred employees of Punongbayan & Araullo (P&A) Grant Thornton before they threw hundreds of Mabuhay Balls at the Estero de Santibanez – one of the tributaries connected to the Pasig River. Watch this video: https://www.facebook.com/abscbnfoundationkapamilya/videos/1164273610295764/?pnref=story. 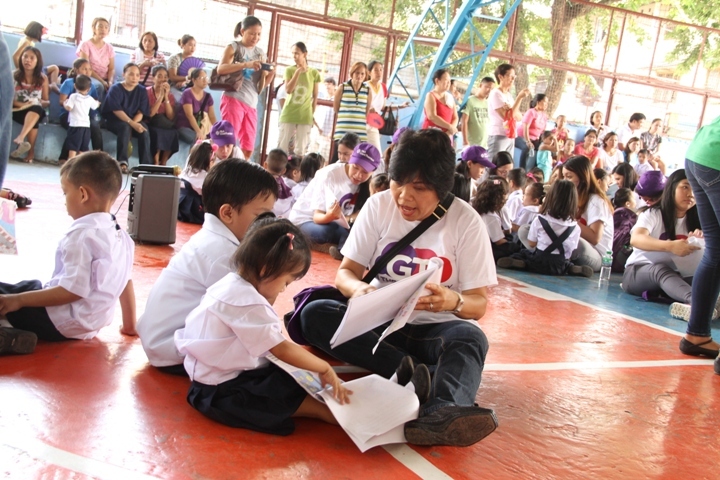 P&A Grant Thornton, the leading audit, tax, advisory and outsourcing firm, is one among the companies which subscribe to the Employee Engagement Activities of the ABS-CBN Lingkod Kapamilya Foundation, Inc. This is a special campaign of ALKFI that immerses the employees of its partner institutions to the different communities of ALKFI nationwide. 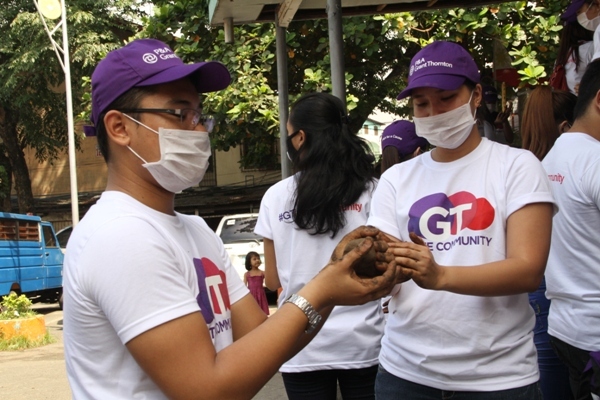 P&A Grant Thornton celebrates its second year of their Global CSR in Pandacan, Manila which houses the esteros of Pandacan and Santibanez, where they threw the Mabuhay Balls. Employees were divided into four groups. 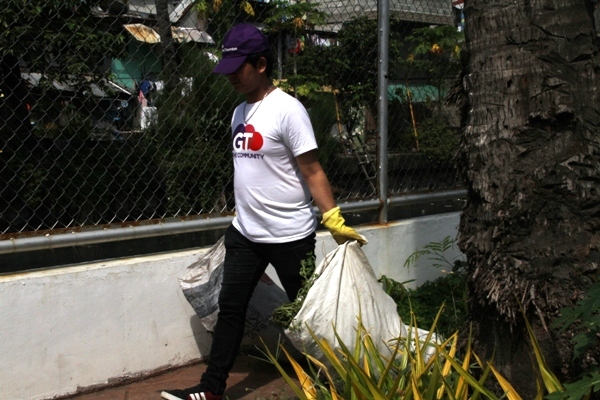 One group conducted clean-up activity along the easements of Estero de Pandacan. The other groups bonded with children through feeding and storytelling, repainted the day care center and learned to make mabuhay balls. 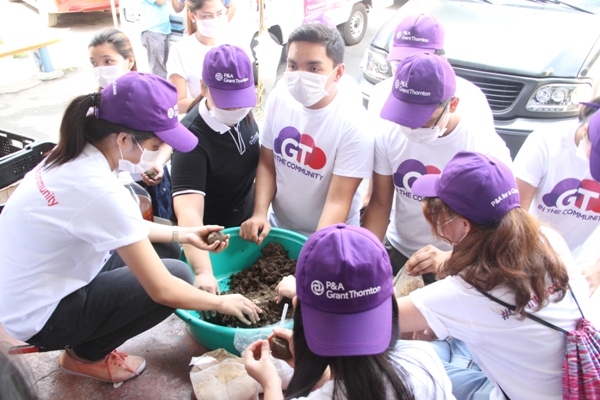 “As you can see, the employees of P&A Grant Thornton are very excited in doing these activities. Seldom that they do these kinds of activities so this is their opportunity to de-stress. More than working in the office, this is their moment to do something worthwhile. This is our way of encouraging them to help our local communities,” Yusoph Maute, the Project Director of P&A for a Cause, emphasized. 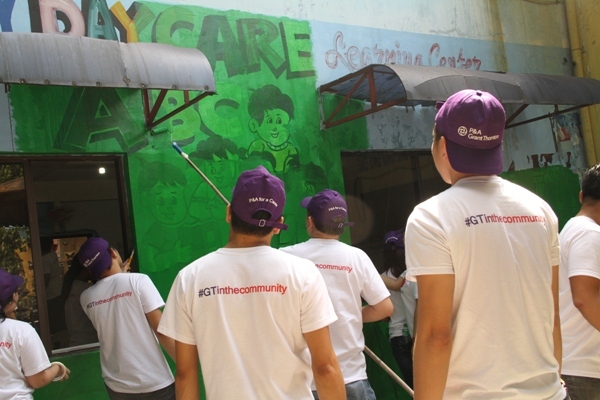 Two hundred employees of P&A Grant Thornton bonded with kids of Pandacan through storytelling, made Mabuhay Balls, repainted the day center and cleaned up the easements of Estero de Pandacan on September 23, 2016.